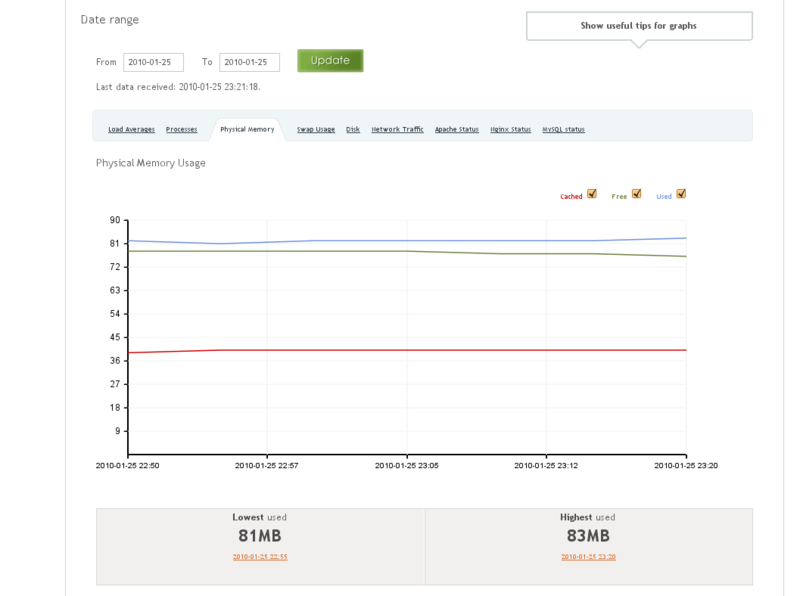 A few weeks back we released our RimuHosting server management API (which lets users programmatically do things like setup new servers, shut them down, resize their memory or disk and reboot them). Ivan here has been busy integrating our API into a few third party 'cloud computing' APIs. Like libcloud, jclouds and deltacloud. The third party support of these libraries has resulted in a few interesting uses of our API. One of those is its use by a service called Server Density. 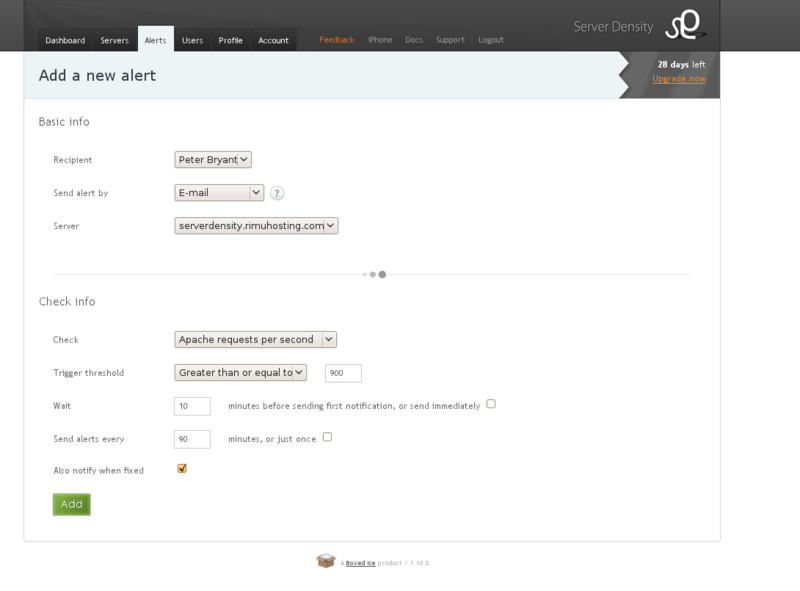 Server Density is a hosted service that monitors the 'internals' of a server. It runs an agent and measures things like server load, apache requests per second, memory usage, mysql status and the like. And then provides a dashboard where you can view your server stats. As well as configure alerts (email or text), for example if your Apache connections reach a certain level. Server Density is using our API to automatically load a list of all your RimuHosting VPSs. So you can easily import them into their service. I've stepped through the process and it was pretty easy to add in a test server. 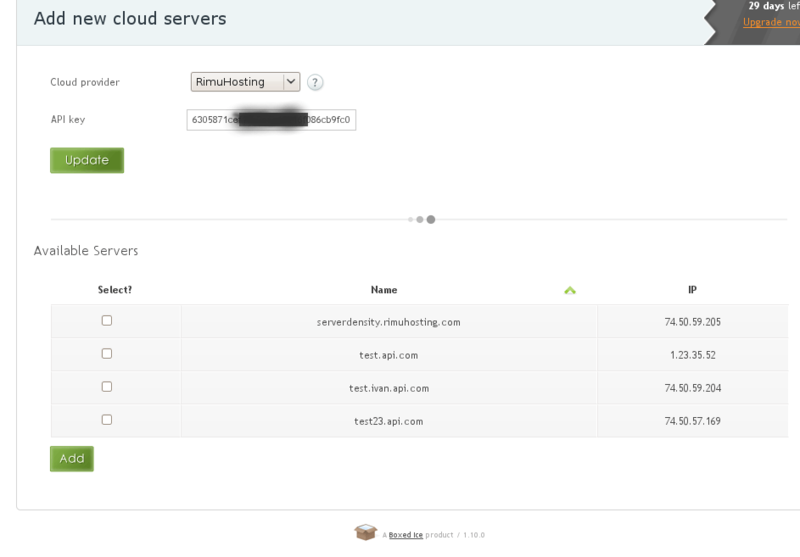 Go to the add server tab and use the cloud server 'add' button. 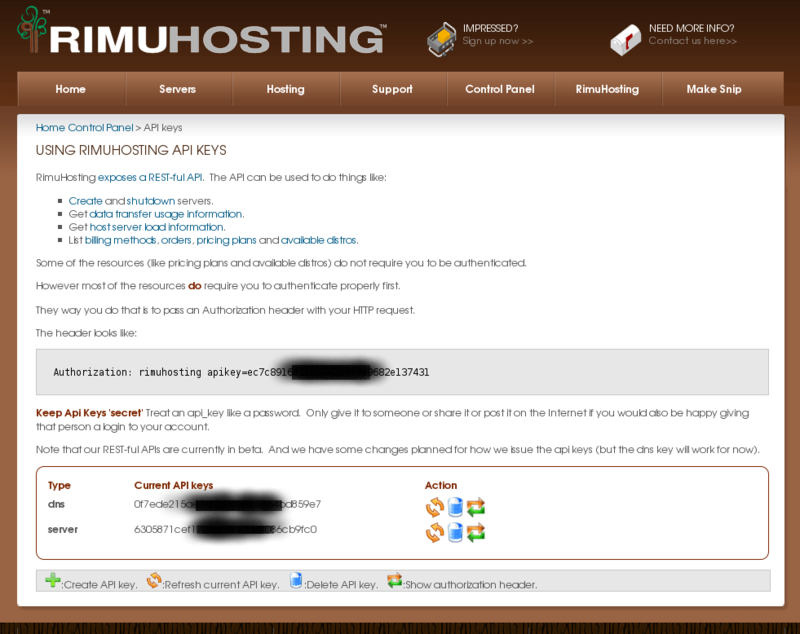 Select 'RimuHosting' as your cloud provider. Then plug in your key. And then server density will automagically load your active servers and let you choose which ones to add into its system for monitoring. After the server is added you will need to install the Server Density agent onto the server. Then the agent starts sending data to Server Density so you can get your performance graphs. And you can start setting up alerts. This entry was posted in Rimuhosting and tagged api, cloud, density, server. Bookmark the permalink.